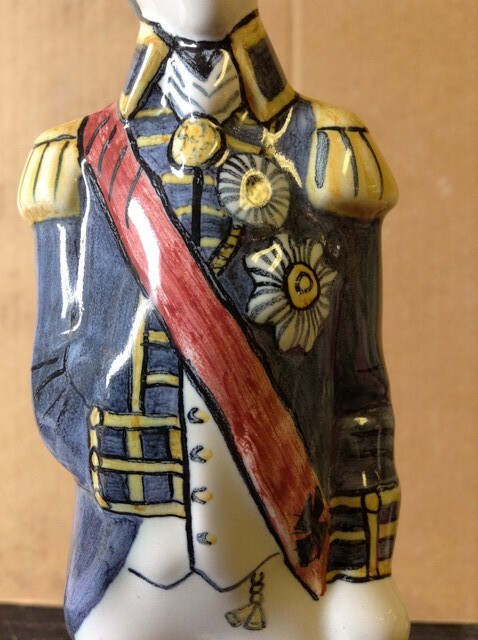 A hand-painted ceramic figure of Admiral Horatio Lord Nelson, British Naval Commander and national hero. 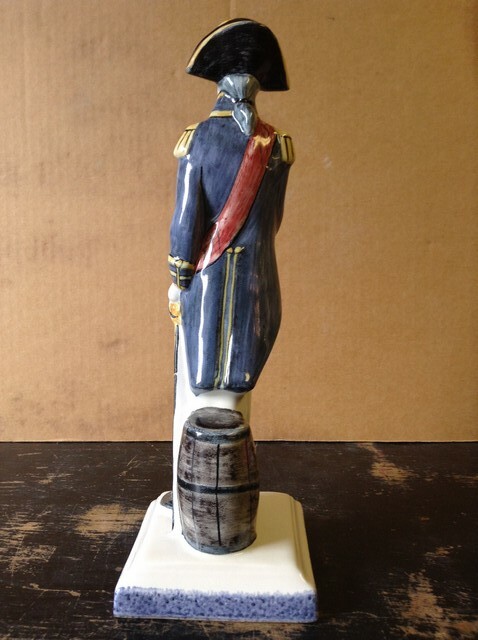 This is a figure close to our heart, Tarquin Cole is a former naval officer and this figure was conceived and researched by him and then modelled by Neil French. 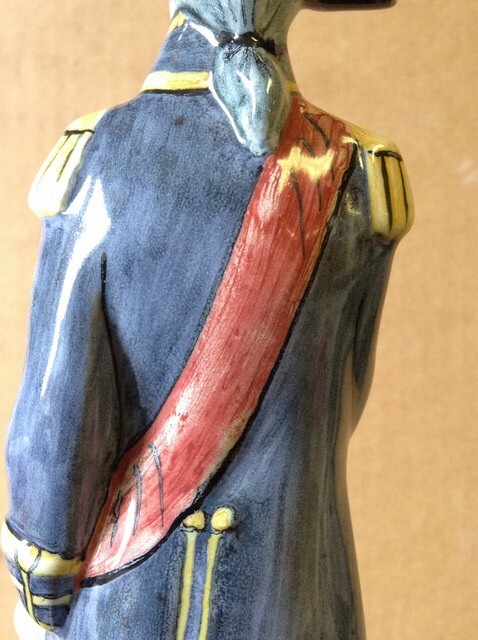 The detail on the front of his uniform is quite some feat for our decorators to pull-off, and do take a look at the brandy barrel on the reverse of the figure, rumour has it that his body was stored in a brandy barrel after his death at the Battle of Trafalgar in 1805, to ensure its safe return to England for burial. 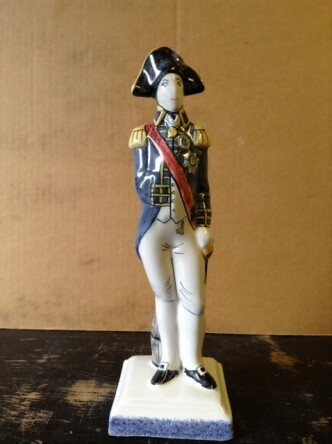 We also also produce Nelson’s beautiful mistress, Lady Emma Hamilton. One of the great scandals of the age, this illicit love affair was much gossiped about during the late 1700’s and early 1800’s and eventually saw Nelson leaving his wife for his beloved Emma.